For the first time in its history, the Shoreham Aircraft Museum was open on Remembrance Sunday and was rewarded by splendid weather, plenty of visitors and a fantastic flypast. 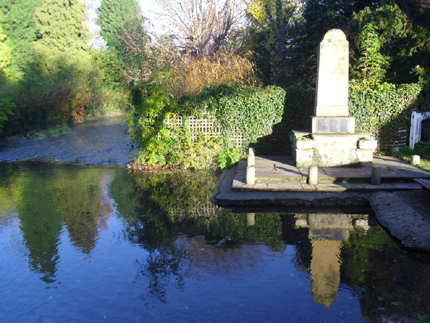 The chilly early morning found the Village war memorial bathed in sunlight and apart from a nearby very vocal Robin, the Museum fell silent for two minutes at 11am to remember all the heroes who gave all they had to give. 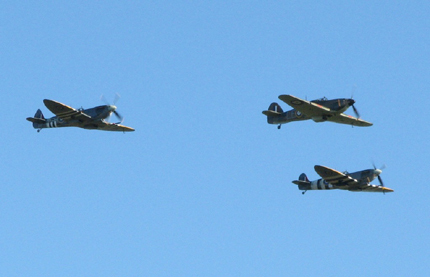 Within the hour, a fast approaching roar heralded the arrival of a Hawker Hurricane leading two Supermarine Spitfires, which cut low across the Village in spectacular style. To the delight of everyone on the ground, the glorious sight in the air returned for another low fly-by and we cannot thank enough the brilliant ‘Kent Spitfire‘ team for treating Shoreham so royally. With the success of the day, it is likely to become a tradition for the Museum to be open each Remembrance Sunday. You are currently browsing the Shoreham Aircraft Museum – News archives for November, 2012.